Build My Gift was created out of a need for bespoke gifts that are beautifully wrapped to be unravelled with grace. We have always loved the art of gifting and we take pride in creating custom curations for our family, friends and colleagues. But working in an entrepreneurial setting and corporate environment, respectively, often left us with little time to roam store-to-store or browse site-to-site to locate a perfect, yet personal gift. Together we thought, wouldn’t it be wonderful if a choice of gifts could be in one place, ready for our next expression of emotion or to celebrate that upcoming special occasion… from here, the idea of Build My Gift was born. 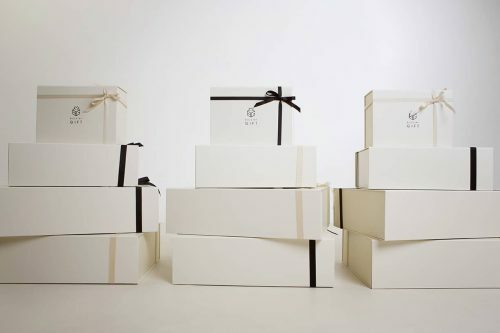 We now venture from store-to-store and travel from site-to-site, carefully selecting high-end items from luxury brands, so you can build a unique gift for all occasions in 3 simple steps. Going one stride further (so you don’t have to) we can deliver an elegantly wrapped gift straight to your fortunate recipients’ door. We curate the items, you build the gift, because the greatest gift is personal. Build My Gift offers gift-givers a simple, efficient way of showing you care. From Get Well Soon gestures to Corporate Conference gifts and Wedding Welcome kits, we’ve got you covered with our extensive selection of luxury branded products! The team at Build My Gift personally build each gift tailored to your request, guaranteed to create a feeling of appreciation and love. Birthday’s Conferences and Events Will You Be My Bridesmaid? New Baby Holidays Will You Be My Groomsman?